Dave Wickerham was born in Encino, California in 1962. He began playing the electronic organ at the age of four and had his first pipe organ experience at age 10. His musical education started at age seven. 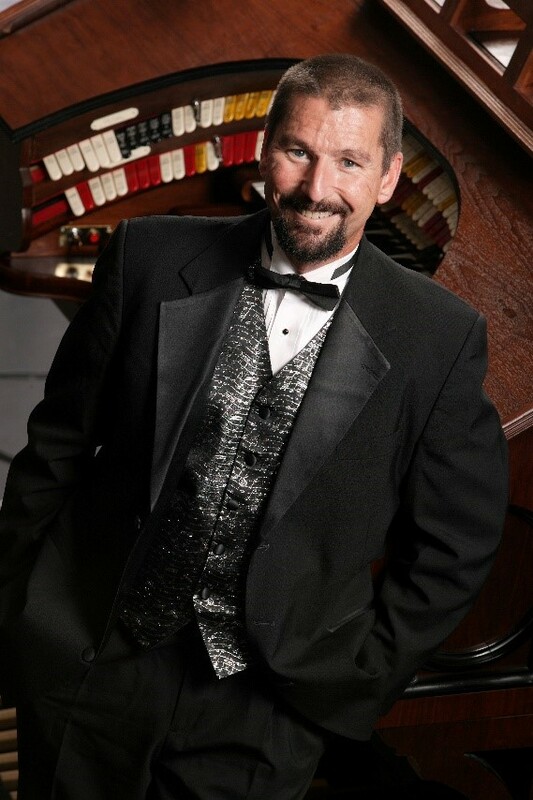 When he moved to Arizona in 1976, he became Associate Organist at the famous Organ Stop Pizza Restaurants in Phoenix, Mesa and Tucson. While in Arizona, he continued his musical studies with Roseamond Crowley, one of the few remaining descendants of the Louis Vierne line of organists. He attended the University of Arizona in Tucson on a full scholarship, pursuing classical organ studies for six years with Dr. Roy Johnson. August of 1990 found the Wickerham family – Dave, his wife and two young children – moving to Wisconsin, where he was one of the featured Staff Organists at the Piper Music Palace in Greenfield, a position he held for 10 years. He enjoys concertizing frequently to many audiences including various chapters of the American Theatre Organ Society. In April of 1999, he took great pleasure being a feature artist in Melbourne, Australia for the convention of the Theatre Organ Society of Australia for which he received rave reviews. He returned “Down Under” for a six-week concert tour in Australia and New Zealand during the summer of 2003 and 2012 as well as October/November of 2015. In 2011, Dave was honored with the “Organist of the Year” award by American Theatre Organ Society.